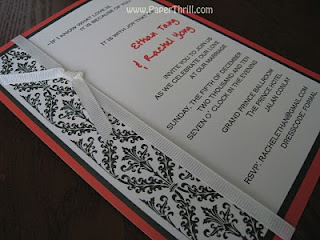 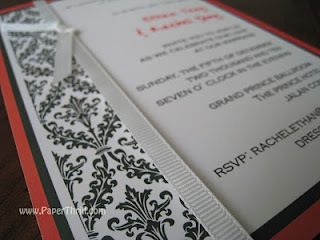 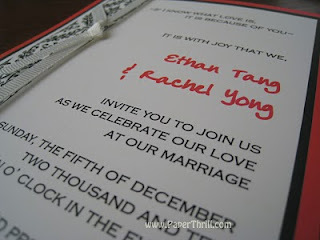 Damask pattern is a popular design in weddings like our Damask wedding card in our handmade luxe collection. We came out with one for our printed collection as well and added a twist by tying a beige grosgrain ribbon around the card. Colours can be change to your matching theme.